Polarity Ensemble Theatre presents its first in a series of events launching the two novels of THE AFTERLIFE TRILOGY at the Greenhouse Theater Center, 2257 N. Lincoln Ave, Chicago on October 7th at 7 pm. The event will include dramatic presentations of scenes from the two novels, a book signing, cocktails and hors d’ouvres. Charles C Palia Jr. and Helen Young will direct a team of four actors in the reader’s theater presentations. The actors will then tour the performance to a series of book stores, coffee shops and pubs. All events will be free of charge. THE AFTERLIFE TRILOGY is a unique exploration of love, suicide and the afterlife through a trio of works arising from one artistic personality. 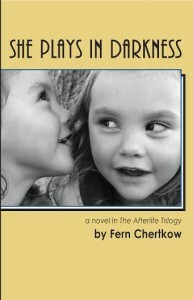 Fern Chertkow wrote SHE PLAYS IN DARKNESS in the early ’80s. In 1988, she took her own life. 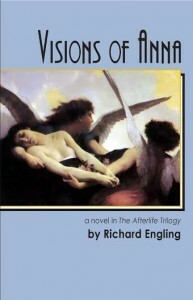 Her friend Richard Engling paid tribute to the late author in the novel VISIONS OF ANNA and then later in the play ANNA IN THE AFTERLIFE. The trilogy provides a prismatic view of Chertkow as both an author and a muse. The works span 35 years of creation, crossing the borders of the living and the dead, functioning in both the literary and performance modes. By the time it is complete, 40 to 50 Chicago-area artists will have participated in developing, performing, publishing and presenting the works. 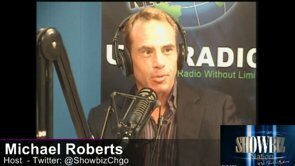 We know of no other theatre or publishing company that has attempted a project of this scope. Other free book launch events will take place at City Lit Books in Logan Square, 2523 N Kedzie Blvd, Chicago, 6:30 pm, Thursday, Oct 16; Uncommon Ground, 1401 West Devon Ave, Chicago, 8:00 pm, Wednesday, Oct 29; Celtic Knot Public House, 626 Church Street, Evanston, 7:00 pm, Wednesday, Nov 5; The Book Cellar in Lincoln Square, 4736 N. Lincoln Ave, Chicago, 7:00 pm, Friday, Jan 30, 2015; and The Gumbo Fiction Salon at The Galway Arms (upstairs), 2442 N. Clark Street, Chicago, Thursday, Feb 19, 2015. The company provides special services for book clubs and even provides its own local and online book clubs for those without a club who would like to participate. For more information, visit www.petheatre.com. 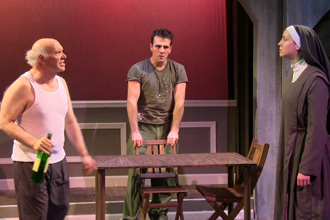 Founded in 2004, Polarity Ensemble Theatre is a professionally diverse group of artists who strive to advance the state of Chicago theater for both local and international audiences by developing new works and bringing new life to the classics through live performance, workshops, and publishing.